Emmy was born February 11, 2018 and joined our family eight weeks after. She is one of 7 pups to Sparky and Molly. She is in training to become our next CCMO, Chief Companion and Marketing Officer. Libby was our "CCMO" Chief Companion & Marketing Officer. She loved playing catch with a ball and she specialized in keeping customers and their children entertained when they visit the store. 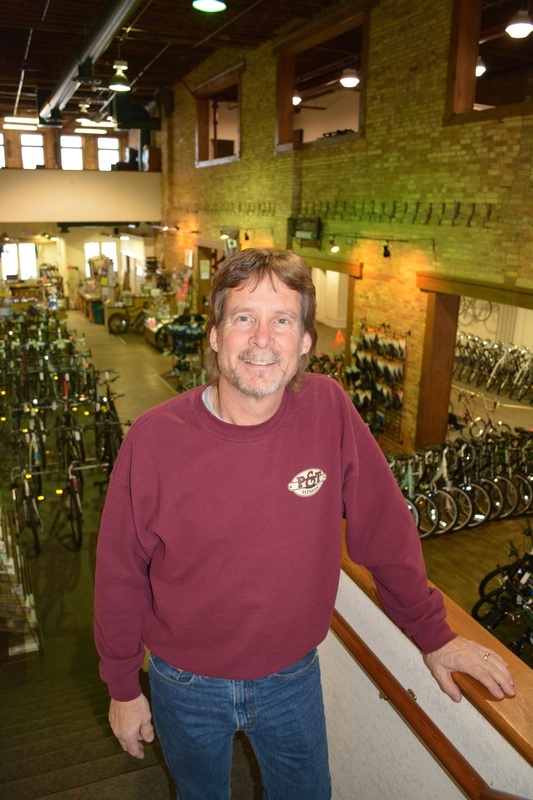 George has been in the commercial and residential fitness/bicycle business for over 30 years now. He has owned P&T Fitness (Pedal & Tour) for 30 years, and is hoping to have many more wonderful years to come. Tony is the shop manager at the store. He is a Jackson native and has been working at P&T Fitness since 2002. He specializes in overhauling all different types of bikes, from old mountain bikes and road cycles to doing custom upgrades on new performance bikes. With over 15 years of bicycle repair and maintenance experience, he has a keen eye for being able to diagnose problems and make the needed adjustments. Tony is married to Christina and enjoys spending his time with her and their 2 daughters Mackenna and Isabella. When he is not working at P&T Fitness or spending time with his family you can find Tony riding his bike or catch him out on the lake. Chris is a Jackson native and has been working for P & T Fitness since 2007. He is our fitness equipment repair expert. 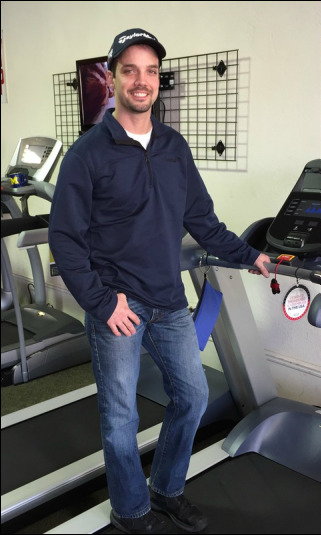 He is a certified Precor repair technician and he provides service for all other makes and models of fitness equipment for commercial and residential settings. In his free time he enjoys training and the outdoors. He is hoping to get into mountain biking soon when he gets more time. Darryl has been with P&T Fitness for five years. Previously he spent three years at the Armory Bike Union in Jackson where he was a bike repair technician. He has been repairing bikes for six years now. He enjoys working on all different kinds of bikes, from road and performance to urban, off road bikes and everything in between. When Darryl is not working at P&T Fitness, he enjoys spending time with his son racing remote control cars and playing billiards. Alex joined the P&T team after spending a year abroad in Japan where she didn't own a car, only a bike. She is responsible for helping the office run smoothly and helping sell great bikes and fitness equipment to great people. She's also interested in helping market the store through videos and community outreach. Occasionally, the guys let her test ride the bikes. She loves yoga, meditation, and overall active living. Her favorite places in Jackson are Ella Sharp Museum, Cascades Park, and the Falling Waters Trail. 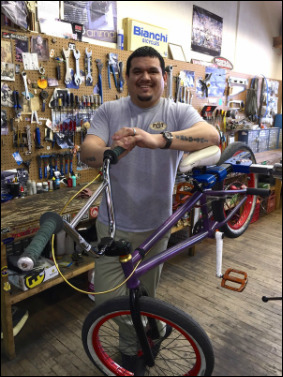 Gabe is new to P&T, learning the ropes of selling fitness equipment and bicycles. He's also learning how to build bikes and equipment and has a natural talent in it. Gabe is a cross country runner with Jackson High School. He loves playing with Emmy.